Studies are conducted on the University of Illinois campus. Please contact us if you are interested in being a participant for one of our studies. Not everyone will meet the requirements for our current projects, but there may be other opportunities in the future for participation. Looking for US-based audiologists to complete a brief online survey on the importance of counseling in tinnitus treatment. Research is sponsored by the United States Department of Defense and approved by the IRB at the University of Illinois at Urbana-Champaign. Participants are needed for two research studies investigating the tinnitus (ringing in the ears) in adults. The studies are being conducted by Fatima Husain, PhD, of the Department of Speech and Hearing Science at the University of Illinois at Urbana-Champaign. We are looking for healthy adults between the ages of 21-64, who have hearing loss and tinnitus, normal or corrected-to-normal vision, with no history of neurological psychological illness (except for depression or anxiety for which they are currently taking medications), no chronic health problems and no history of drug or alcohol abuse. If interested, please contact us. Individuals will be paid for their participation and will also be reimbursed for parking. Part 1: A detailed hearing exam, questionnaires and behavioral tests will be part of Part 1. Part 1 will take place at SHS, 901 S. Sixth Street. Part 2: We will use MRI (magnetic resonance imaging) to obtain images of the brain while the participants are listening to sounds. 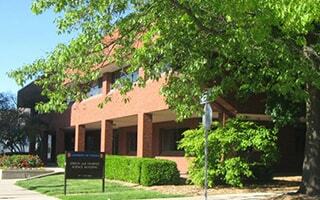 Part 2 will take place at the Biomedical Imaging Center, part of the Beckman Institute at 405 N. Mathews Ave. Participants who fulfill certain criteria, including age, gender, type of tinnitus and type of hearing loss, will be invited to participate in Part 2. Participants are needed for two research studies investigating the tinnitus (ringing in the ears) in adults. The studies are being conducted by Fatima Husain, PhD, of the Department of Speech and Hearing Science at the University of Illinois at Urbana-Champaign. We are looking for healthy adults between the ages of 21-64, who have hearing loss without tinnitus, normal or corrected-to-normal vision, with no history of neurological psychological illness (except for depression or anxiety for which they are currently taking medications), no chronic health problems and no history of drug or alcohol abuse. If interested, please contact us. Individuals will be paid for their participation and will also be reimbursed for parking. Part 2: We will use MRI (magnetic resonance imaging) to obtain images of the brain while the participants are listening to sounds. Part 2 will take place at the Biomedical Imaging Center, part of the Beckman Institute at 405 N. Mathews Ave. Participants who fulfill certain criteria, including age, gender and type of hearing loss, will be invited to participate in Part 2. Participants are needed for two research studies investigating the tinnitus (ringing in the ears) in adults. The studies are being conducted by Fatima Husain, PhD, of the Department of Speech and Hearing Science at the University of Illinois at Urbana-Champaign. We are looking for healthy adults between the ages of 21-64, who have normal hearing without tinnitus, normal or corrected-to-normal vision, with no history of neurological psychological illness (except for depression or anxiety for which they are currently taking medications), no chronic health problems and no history of drug or alcohol abuse. If interested, please contact us. Individuals will be paid for their participation and will also be reimbursed for parking. Part 2: We will use MRI (magnetic resonance imaging) to obtain images of the brain while the participants are listening to sounds. 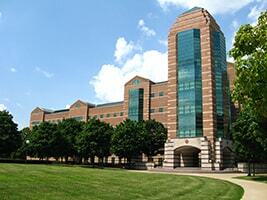 Part 2 will take place at the Biomedical Imaging Center, part of the Beckman Institute at 405 N. Mathews Ave. Participants who fulfill certain criteria, including age and gender, will be invited to participate in Part 2.